What Are The Benefits Of Coaxial Cables? When it comes to digital audio, there are two options for choosing cables. Optical digital audio cables and digital coaxial cables. These cables are helpful to set up your home audio or theater system in digital high quality that will transmit audio signals in digital form. 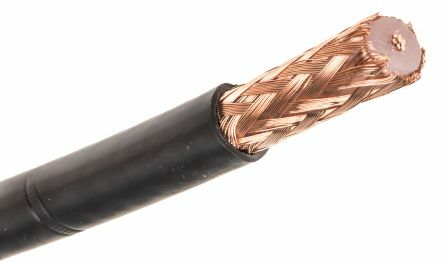 Coaxial cables have an inner conducting layer that is usually made of copper. It is surrounded by an external conductor along with rubber insulation. It is wrapped outside the cable. The audio signals travel through the inner conductor. The outer conductor prevents interference and loss. RF coaxial cables minimize signal loss and interference. Besides the higher quality that digital coaxial cable delivers, it has several other benefits. With a digital audio cable, the audio signal can travel through a digital medium, thereby saving the use of the DAC and the ADC. Therefore, the signal can pass through the receiver and deliver a clear, high-quality digital signal. With a digital audio cable, the audio signal can travel through a digital medium. Digital cable delivers the best sound. It allows improving connection to the input components. With hundreds of different coaxial cable designs and sizes, selecting the one can be difficult. Analog and digital audio and video antenna feed use 75-ohm coax cable. In certain applications, cheap coaxial cable designs are used. Coaxial cable designs can be totally defined in terms of transmission loss, power handling, and other requirements. Times Microwave cables are used with a different construction standard. Low loss coaxial cable LMR-400 is a great quality coaxial cable that meets higher Mil-Spec standards. It is much thicker than common types like RG-58. As the leader in the cabling manufacturing, Times Microwave developed LMR-400 and 240 cables which is set as the standard for quality. Times Microwave cables are of high quality and reliable. They are used for the particular purpose. Lots of companies are providing cables of different types. There are different standards and uses of cables according to requirements. Using the right cable is important according to the requirements. Choosing a reputable company is important to get reliable cables and other relevant products. Getting a recommendation from other people who are using the cables, and equipment of a reputable company is a good way of finding a reliable company. We provide coaxial cables, Times Microwave cables, Walkie-talkie devices and a lot more in Malaysia. Lots of companies and people are using our products and have positive remarks about them. If you want to get reliable products, contact us today.